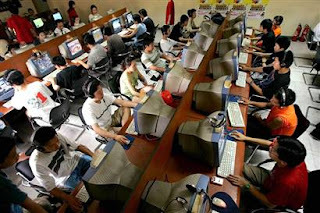 CHINA'S Internet user base has expanded by almost 42 per cent to 298 million in 2008. The country - which has the world's largest Internet and mobile phone population - also saw the number of mobile Internet surfers more than doubled to 117.6 million last year. However, there's still plenty of room for growth, as far as Internet penetration rate is concerned. Penetration rate has increased to 22.6 per cent. World's average is about 21.9 per cent.